A video on how to make a tassel. 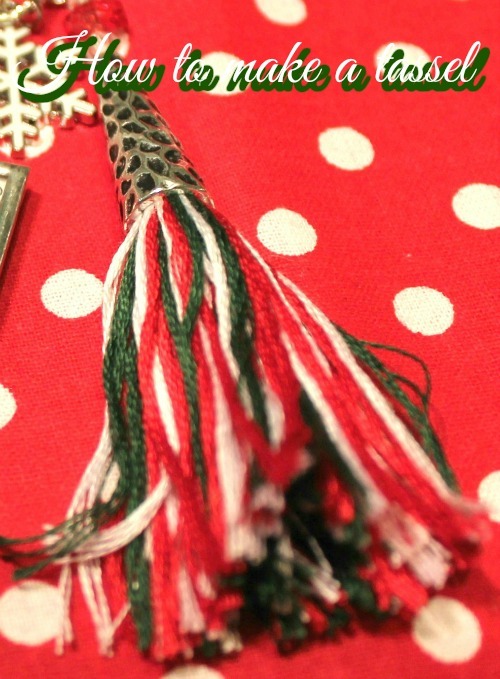 I'm featuring a how-to video today on how to make a tassel. This video was part of my weekly blog Sunday evening, but I felt like my readers would like to see the video itself in a post. The video is presented below, but please continue reading about the new app I found at https://studio.stupeflix.com/, which helped me make this easy and quick, plus useful, video! I must tell you I was saved by the bell! My video camera had a glitch, so I could not record my video. I desperately searched the internet for an app that would make a quick and easy video for me, using still pictures, on how I created my tassel. There were several apps out there that cost a lot of money, but then, I found a site that had just what I needed: Stupeflix. The app on Stupeflix was so much fun to use and so easy! I didn't even need an account. They do have paid versions with more features, but the free version had so many options that it fit my needs perfectly. First, decide on a theme. I used the scrapbook theme. There are many themes to choose from that are absolutely free! Then, add your photos. Stupeflix lets you import photos from many different places, such as your computer, Facebook, Dropbox, and other locations or apps. Features can be added to the photo, such as text, audio, and many more. Add a soundtrack to the video. You can use your own music or Stupeflix has their own audio library and I'll have to say, it includes some great choices! Since I had a Christmas tassel, I used a nice Christmas tune. You don't have to worry about copyrights either. Finally, time to publish my video! Again, lots of options for publishing...Facebook, Twitter, e-mail, embed into a webpage, etc. Even though Stupeflix is easy to use, their support is great too! I wrote to them when I decided to endorse their product on my blog. They made suggestions to me on how to make my presentation even better! I'm sure if there is ever a problem, you would receive great service from them as well. I hope you enjoy my how-to video and if you need to create a video of your own, whether it be a how-to, a memorable family video, or just some beautiful holiday scenery, keep Stupeflix in mind! Post the link in my comments section! I'd love to see your creations! I'll certainly be thinking of other ways I can use this app too! I was not paid to endorse Stupeflix. Get $50 Giftcards for Just $45, $100 Giftcards for $85, and Giftcards of Over $100 Discounted by $15 at MisterArt, No Code Required! Hurry - This Offer Ends 12/25.